Got a nice radio from an 02 WJ. Has CD player and tape deck. Last edited by Thexjfiles; 12-28-2016 at 12:02 PM. Everything work ok on the radio - including the CD and tape deck? I'd take it for $35 shipped. And by any chance - do you have the mating wiring harness connectors that plug into the radio? Somebody cut off my factory connectors when they installed an aftermarket radio (that I don't like). Still got it, no harness. $30 plus shipping. So is this radio out of '01 or an '02 (which would mean Grand Cherokee, NOT regular Cherokee) ? I'd be putting it in an '01 Cherokee XJ and want to be sure it would fit. I was told it was XJ, but now Im not sure. Does not seem to fit the bezel I have from a 98, so maybe it is from a Grand....sorry. Agreed. 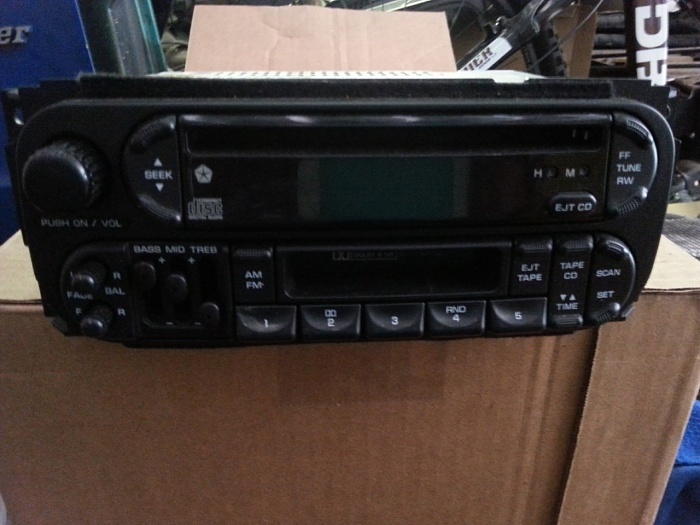 Did some research, and that radio (with the rounded corners) fits the '02 and up WJs. 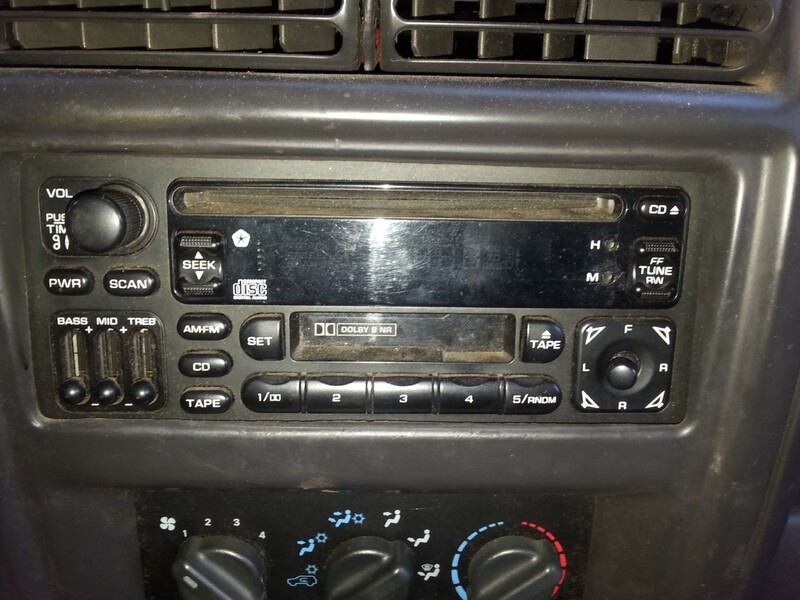 The '96-'01 XJ radio has square corners and a different layout for the buttons. Thanks anyway - best of luck selling it. I just got a 99 with a decent radio. CD player works as well. Not sure on the tape deck. Also have plugs for it.